AUDB in collaboration with Andreas Krause of Krause Architects (krausearchitects.com) have just completed a design for two new pop-up stores in London. 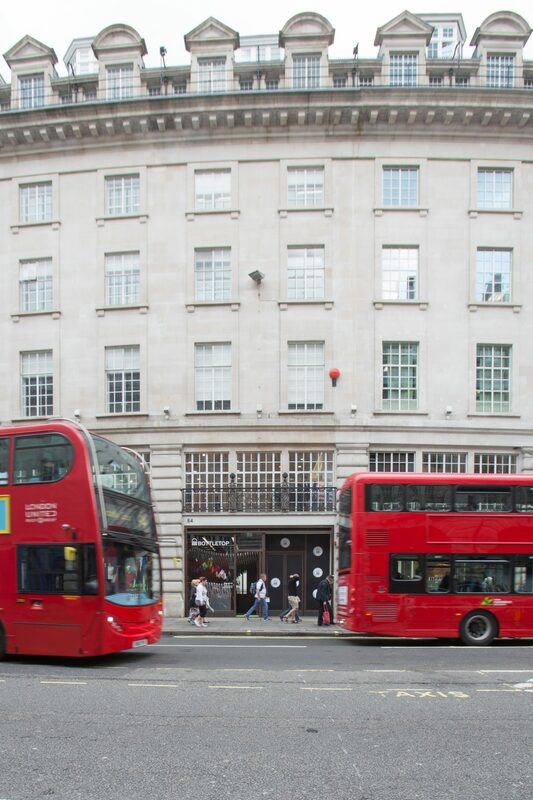 One on the busy Regents Street in the west-end, and another on Redchurch Street in Shoreditch. 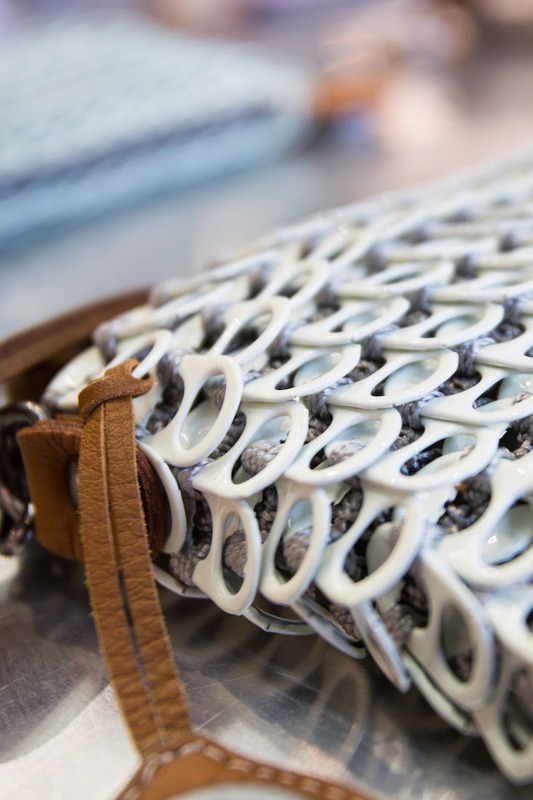 The projects, were carried out for the fashion label Bottletop a social enterprise making high-end fashion accessories. 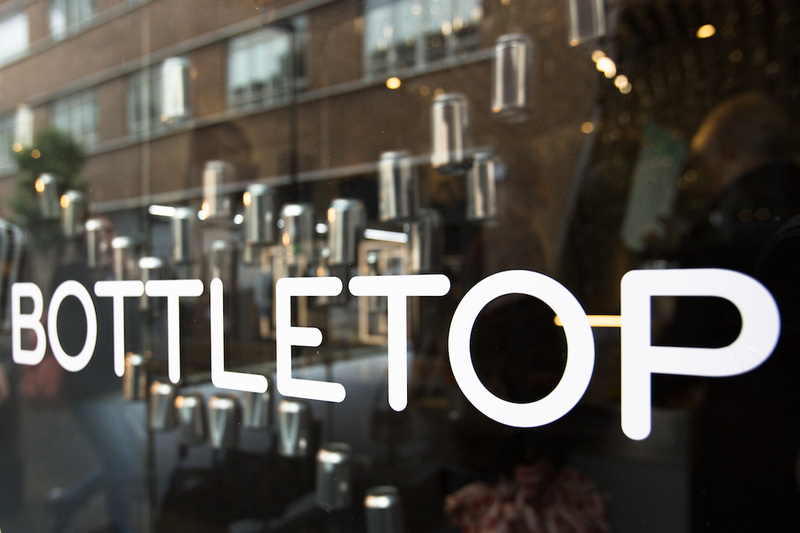 The Bottletop Foundation empowers young people to protect themselves. 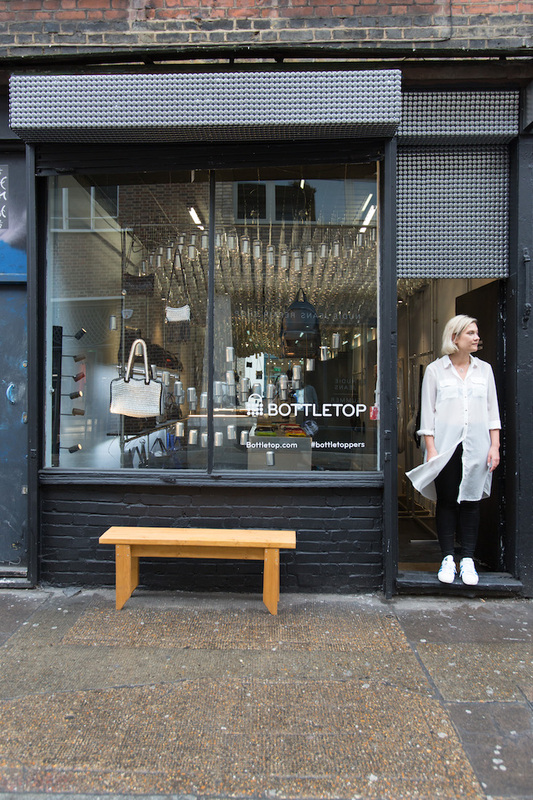 The shops are the first advance into direct retail for Bottletop with the same up-cycling and craft principles of the products they design and manufacture. 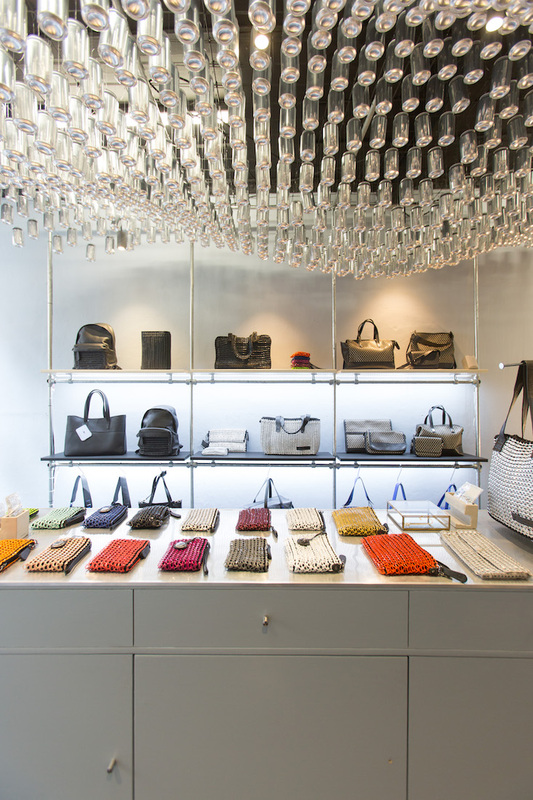 The design of the shops took ints inspiration from the the fashion brand’s design which consist of up-cycled aluminium ring pulls held together by crotchet. 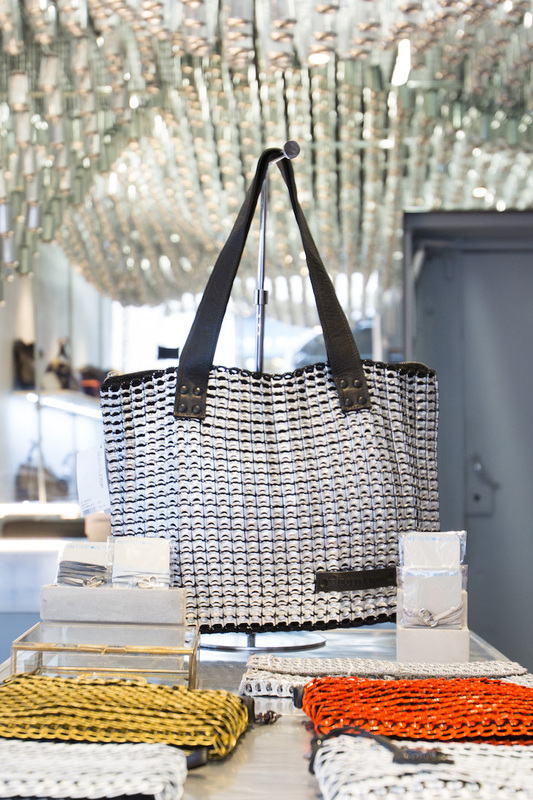 This beautiful and quality hand made material is made by craftsmen in South American and Africa for the fashion label. The two locations are very different in character and the spaces are different is size but had to share the same principle of design. 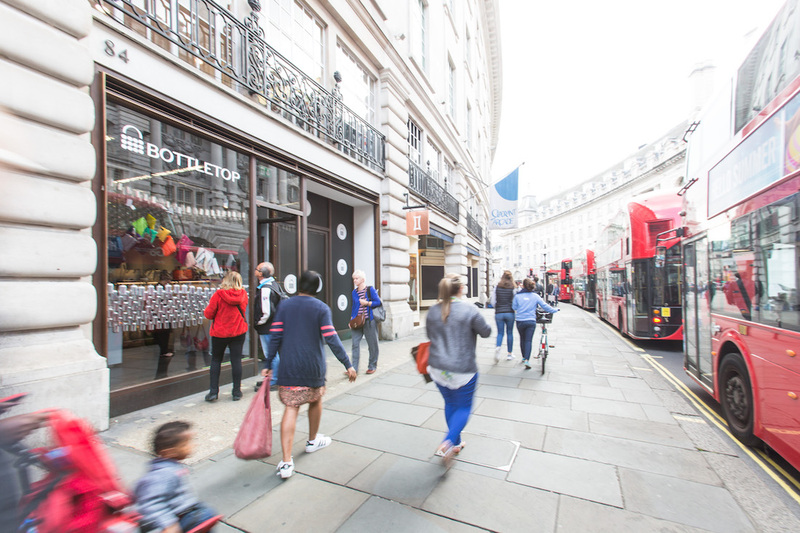 Regents Street is a high-end retail street, the most visited retail street in Europe. On the other side of London, Redchurch Street is he heart of the edgy and cool East End. The context and program of the shops formed the basis for the design concept. 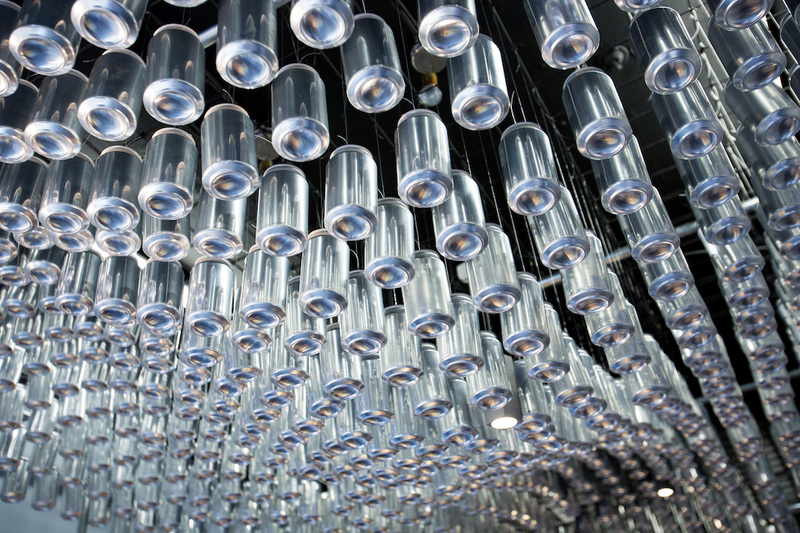 A suspended ceiling of 4000 aluminium soda cans form an undulating surface over the shop floor. Through a parametric approach the ceiling creates an intimate space with the furnishing and circulation. The furnishing is made from recycled and modular materials with a raw quality that enhance the quality of the products in the shop. 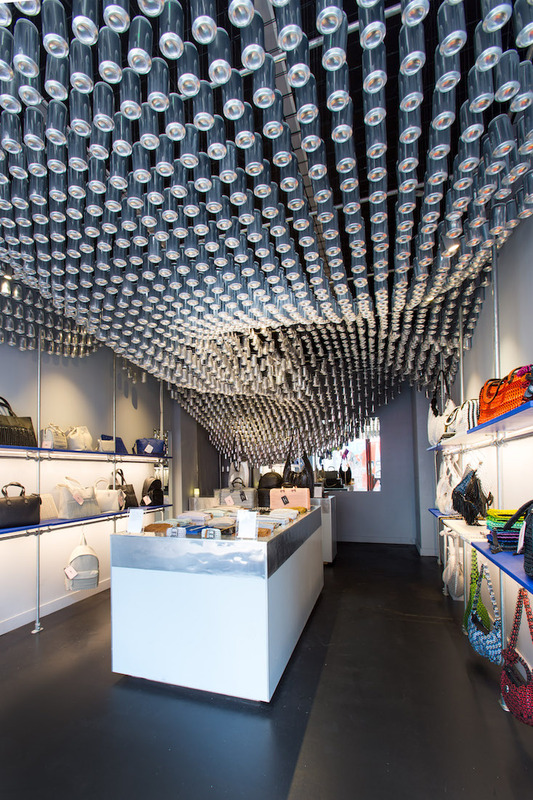 The materiality of the ceiling takes a direct inspiration from and connects with the ring-pull fabric of the fashion accessories. 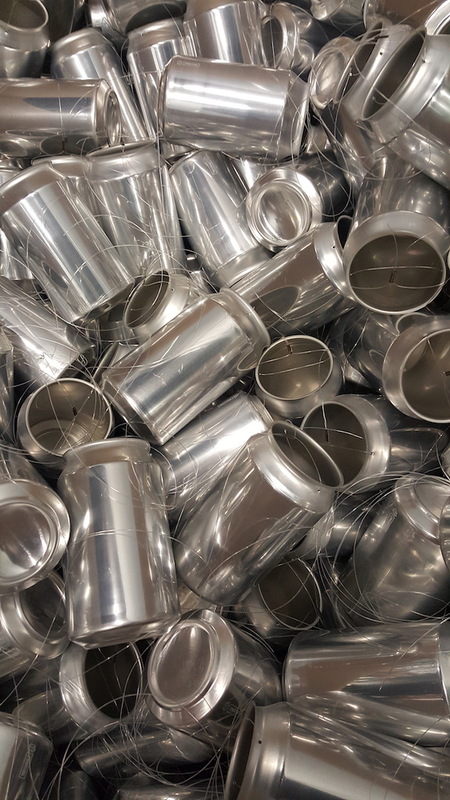 The number of cans is equivalent to the number of ring pulls in two bags produced by the fashion label. 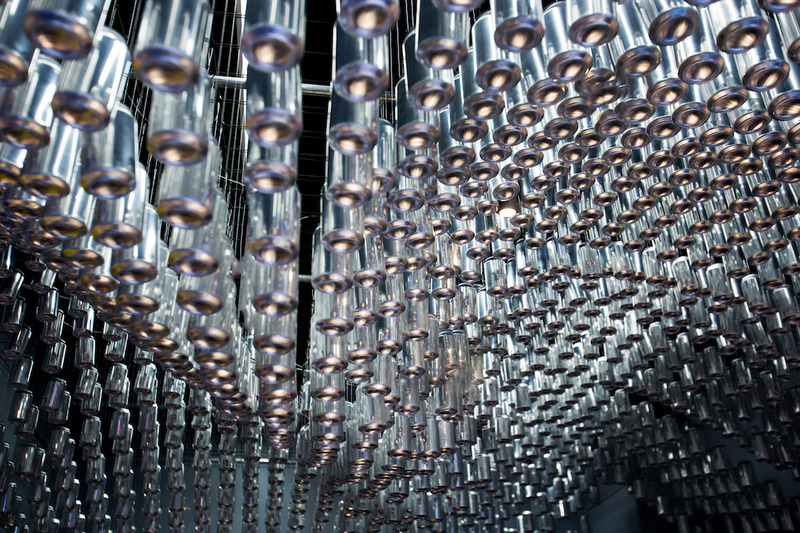 The aluminium cans are each hung at different height, by a fishing line, from a metal grid that is fixed to an internal scaffolding which forms a part of the furnishings. This makes the interior completely free of the building fabric, with zero impact to the site once the pop-up shops are dismantled. 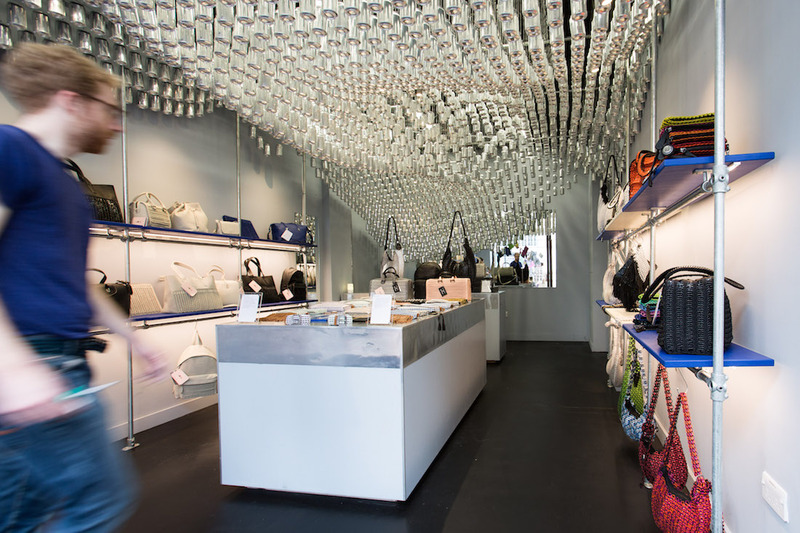 The shop is an example of how the combination of computational design methods with environmentally conscious up-cycling can create unique and imaginative spaces.